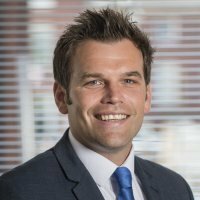 Adam joined Begbies Traynor in 2013 initially as a consultant having run his own digital marketing agency. He has worked in digital marketing since 2005 and his experience lies with search engine optimisation, pay per click (PPC) marketing, content marketing strategies, conversion rate optimisation and expert knowledge around technical website structures and performance. Adam was promoted from consultant to Group Digital Marketing Partner in December 2017 and heads our own internal digital marketing team whilst working closely with Andrew Dunn and the wider marketing team based in Manchester. Adam is actively involved in many of the Group's digital projects and can also be seen speaking at various seminars promoting digital marketing in the professional services sector.